This recipe for Low Carb Crab Rangoon is tastes a lot like the real thing. 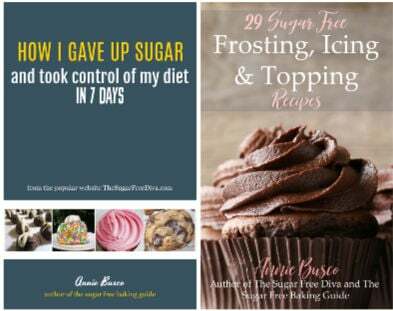 However, these yummy treats are not loaded with carbohydrates. 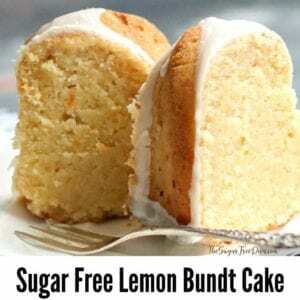 This recipe is for those of us who want to eat something that we like even though we are watching our carbs. It really is not all that hard to make these as well, something that makes me happy. I must admit that Crab Rangoon is one of the few fried foods that I will have a bite of these days because it is fried. Fried foods are something that I have given up eating as they do not agree with my current lifestyle and diet. However, being able to make Crab Rangoon without frying them is something that makes this recipe even better in my opinion. 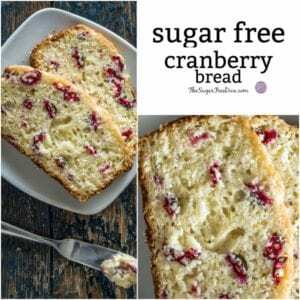 The secret to making this recipe without frying, is to use an air fryer. My air fryer is something that I use often. Not only does it allow me to cut our the whole fry thing, it is easy to use and easy to clean. Thus, I am a fan! 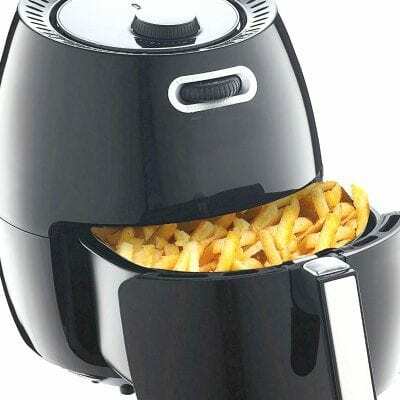 Air fryers have also come down in price which makes them even better. 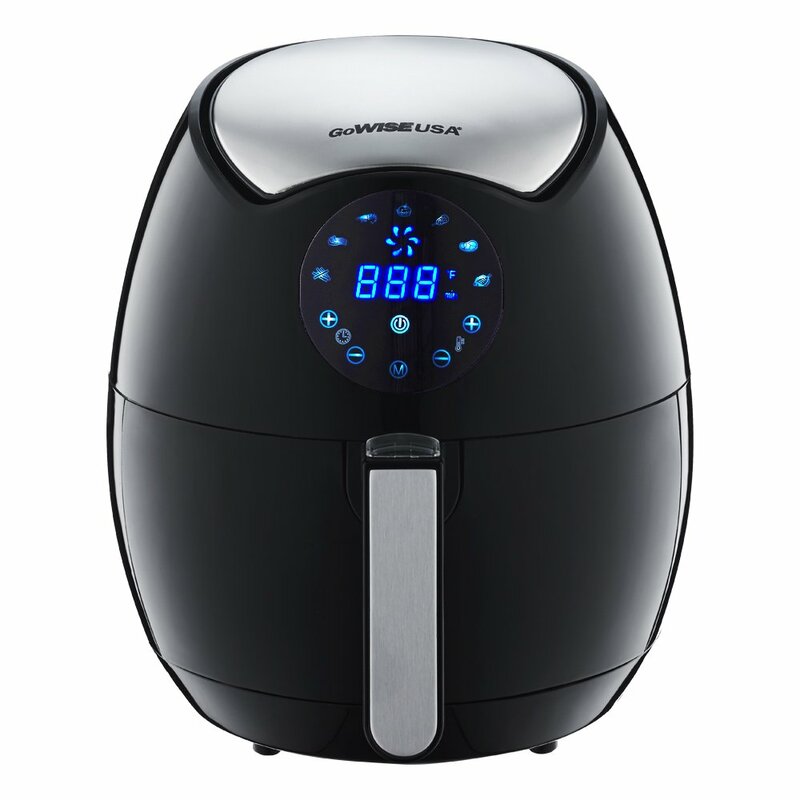 3.7-Quart 7-in-1 Programmable Air Fryer – UNDER $61! ETL Certified; The detachable basket makes it easy to transfer food to the plate. However, this air fryer is designed to thus automatically turn off when the basket is removed from the air fryer or after the timer is done. Useful Accessories for your Air Fryer. 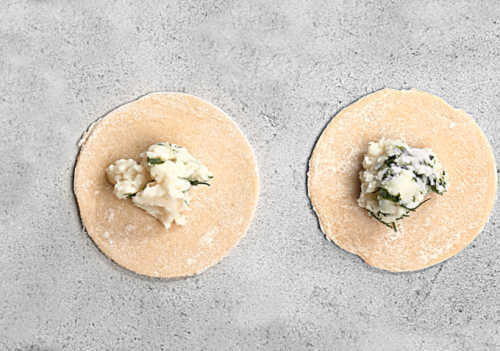 You will need Wonton Wrappers to make this recipe. 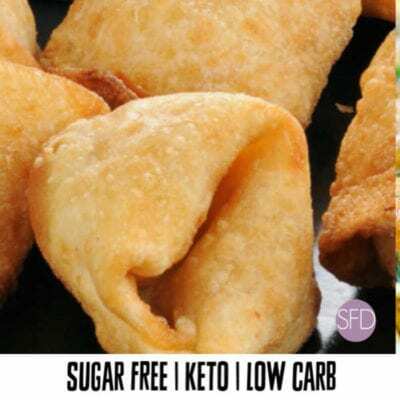 Make your own Low Carb Wonton Wrappers using this recipe. However, you can also purchase Wonton Wrappers online here. There are some gluten free and lower carb wonton wrappers available here as well. Cream Cheese- 1 (8 ounce) package. Green Onions- 2, chopped or sliced thin. Crabmeat– 6-8 ounces. If you are using canned crabmeat, be sure to drain it and then flake it out before using. You can use a six ounce can of crabmeat for this recipe. Garlic- 1 clove minced or chopped small. Mayonnaise- 1 teaspoon (can add an additional teaspoon if needed). You can sub in Greek Yogurt or similar dairy for the mayonnaise. Wonton Wrappers- 16-18 depending on size. 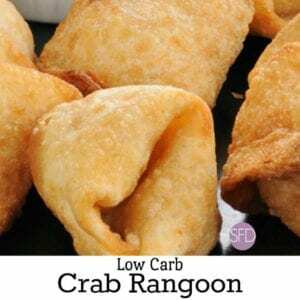 How to make Low Carb Crab Rangoon. Preheat your air fryer to 360 and lightly spray the basket for nonstick. 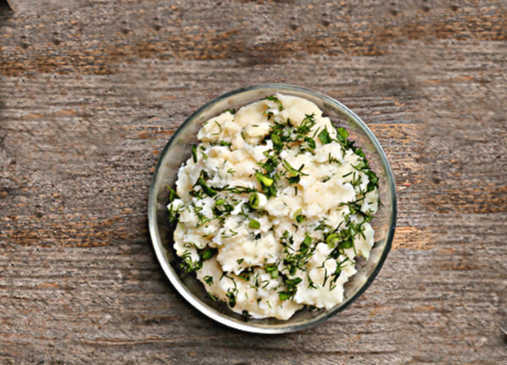 In a medium bowl, combine together the cream cheese, green onions, crabmeat,garlic, mayonnaise, and sugar alternative. If this mixture seems to be too thick and hard to work with, add an additional teaspoon of the mayonnaise until you reach your desired consistency. We will be working with a few wrappers at a time. Lay out your first batch of wonton wrappers on a cutting board or similar surface. Then, moisten the wrappers with a bit of water or oil (I use a sprayer). Place a teaspoon of the mixture from the bowl into the center of each of these wrappers. If your wrapper is large enough, you can use up to 1 1/2 teaspoons of the mix total. In the next steps we will fold the wontons into shape. Start by moistening the edges of the wrappers with a bit of water. Next, fold the wrappers so that you form a triangle (opposite edges work here). Lastly, press the edges together in order to seal it. Lightly spray each rangoon with oil to get more of a ‘fried’ taste if desired. 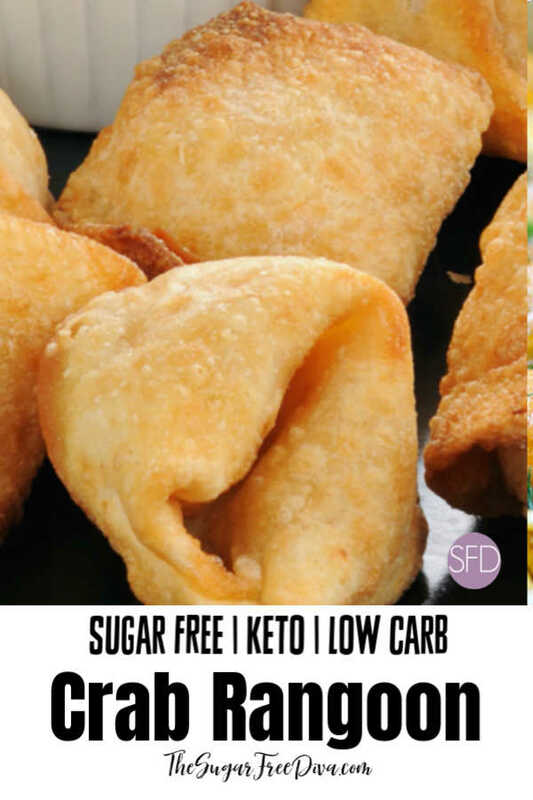 Place the first batch of crab rangoon into the air fryer so that they do not touch one another. Air fry for 8-10 minutes or until they start to turn golden. When working with batches, keep the wrappers that are not being used moist. Using a wet paper towel is one way to do this. Add a bit of seasoning to the bowl to add more taste. Avoid over-filling your wrappers as they will be harder to seal and keep sealed when baking. This would be a perfect seasoning for a recipe such as this one. Trader Joe’s Everything but the Bagel Sesame Seasoning Blend. Packed in small bottles to ensure freshness. I use this with about everything it seems. Lay out your first batch of wonton wrappers on a cutting board or similar surface. Then, moisten the wrappers with a bit of water or oil.Place a teaspoon of the mixture from the bowl into the center of each of these wrappers. If your wrapper is large enough, you can use up to 1 1/2 teaspoons of the mix total. Next, fold the wrappers so that you form a triangle (opposite edges work here). Lastly, press the edges together in order to seal it. Lightly spray each rangoon with oil to get more of a 'fried' taste if desired. Please note- Final nutritional value depends on the wrappers that you use. Thank you! I tried making wontons with Carbalose, but they wouldn’t crisp up. (Made GREAT noodles, though.) I would like to try your crab rangoon, but I don’t have an air fryer. Can they be deep fried, instead? I would think that they could be deep fried. Please let me know how it turns out if you do try to deep fry these. I like a good noodle as well.